In order to enter or cross the indigenous reserves you need the blessing of the people who own them. This means you’ll be accompanied by a baquiano and won’t need a GPS. The last people (an Austrian couple) who tried this on their own got lost or slid down a ravine and have never been heard from again. We aren’t interested in being responsible for your death. 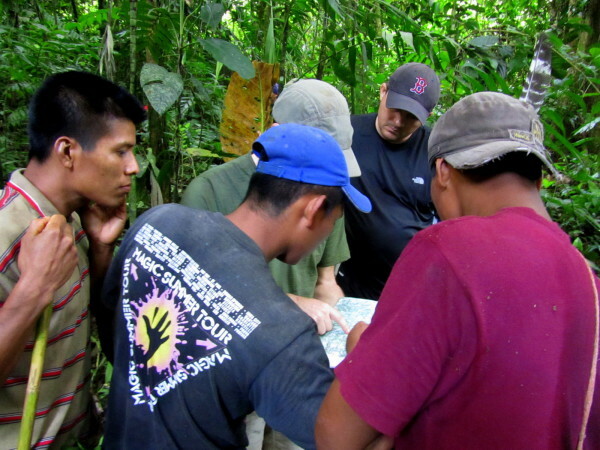 There’s no official “permit.” but we hired two baquianos (indigenous guides) plus an indigenous porter for each trekker. According to our head guide this gained us enough goodwill to receive permission from the community and council. The approximate route we followed is shown on the google map below. Entry permits for La Amistad International Peace Park are $10 per day for non-residents and may be obtained from the Pacific or Atlantic office. Back country camping requires special permission in advance and may be charged an additional $6 per person per night. Very few people attempt this trek. In fact I’ve been told that no gringos have done it in the seven years since our crossing in 2012. Whether that is accurate or not I don’t know but there definitely aren’t enough trekkers to create full time jobs in the region. Both slopes of the Talamanca mountain ranges produce very high proportions of guides relative to the local population but very few remain in the region. Most, out of necessity, follow the tourists and therefore the jobs to popular parks like Corcovado, Manuel Antonio, Arenal or Carara. 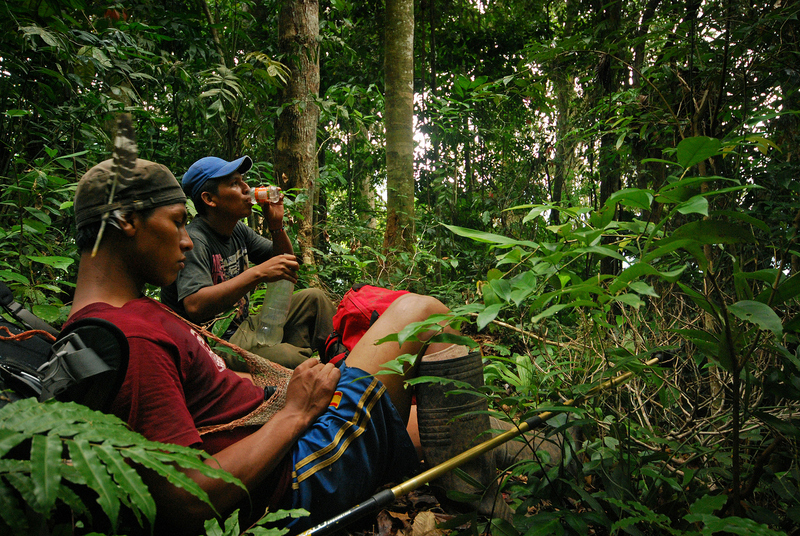 The first guide we ever used in the Talamanca mountains we met on the Osa peninsula. We arranged to take a trip with him at Tapanti-Macizo de la Muerte National Park when he went home on vacation from his regular gig in Corcovado. If you don’t want to wander around the Osa trying to hijack a mountain guide from a birdwatching lodge there are suggestions below. ACTUAR is an association of local guides and community tourism projects. They do not have a pre-packaged tour across the southern Talamancas but they do have a great trek down the Savegre valley. They also have excellent contacts along both sides of the Talamanca corridor and may be able to arrange a visit to Amistad. Another possible resource is the rangers at the regional offices listed above. The parks does not provide trekking services or guides but many of the rangers are locals and may be able to put you in contact with any guides that are working in the area. Omar Zuñiga is a guide who focuses on the peaks of the Talamancas and has an active facebook page. Trekking Adventures is a top tier guide and outfitting service. They do not offer this route on their standard menu but they have expertise, guides and equipment if you’re persuasive enough. Finally, the guides working with Camino de Costa Rica described below know their way across the country and might be persuaded to try the southern route. 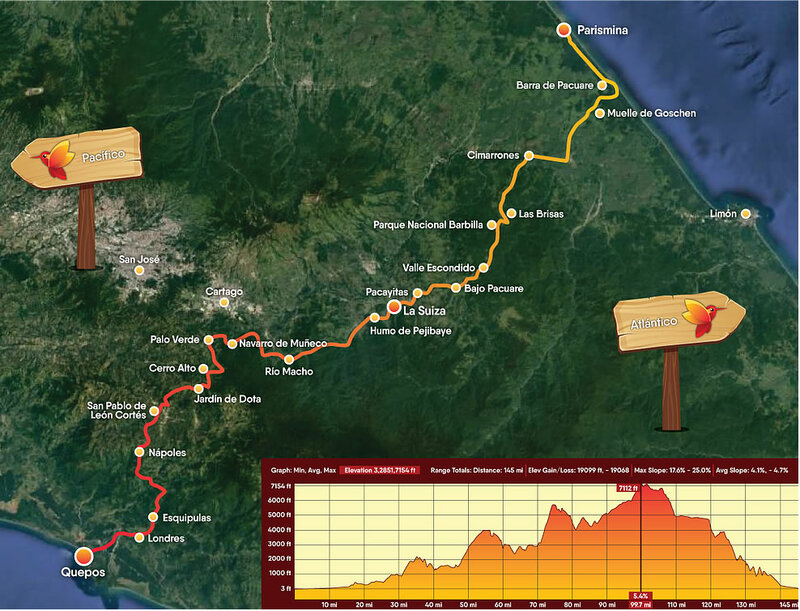 An alternative to our trans-Talamanca route is the Camino de Costa Rica which crosses the country further north using a network of roads, tracks and trails. We have followed 80% of this route on about a dozen different mountain bike, hike and 4WD day trips or overnights and the trail association recommends 16 days for the full mar-a-mar (ocean to ocean) trip. Rural is a more appropriate adjective than remote or rugged to describe most of the trek but there are segments of trail through national parks and reserves. The Camino organization is a self described “marketing platform” for the guides, villages and lodging on the route and their webpage includes links to local associations as well as tour agencies that can provide some or all segments of the trip. The online checklist that we used to coordinate “who’s bringing what” is a good starting point for what you might need on a trip like this. It’s a bit skimpy on details since we used conference phone calls across three U.S. states and two Costa Rican provinces fill in the blanks. Justin would travel to the Instituto Clodomiro Picado near Heredia to purchase three vials of lyophilized broad spectrum antivenin and take a short course on mixing and administering it to snakebite victims and Chris would get short course on reactions, sterile saline (for dissolving) and huge syringes and needles from his wife who’s a surgeon in California.